Here at Luxury Family Hotels, we love our food. Come to any of our hotels and you can count on delicious, healthy cuisine based where possible on the freshest local produce, whether designed with foodie adults or picky kids in mind. 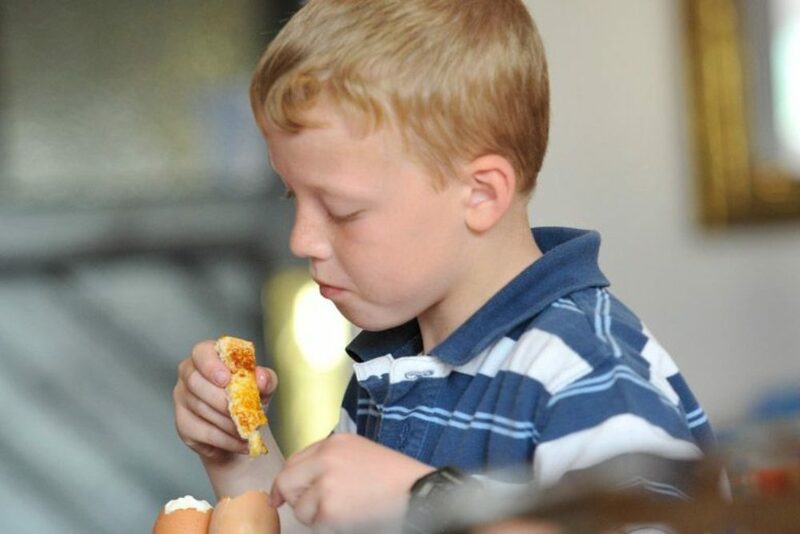 We also know the importance of getting children involved in what they eat – at some of our hotels, they can help out in the kitchen garden and collect eggs for breakfast. We’ve shared our favourite books for both cooking for and cooking with kids – useful as everyday reference books but also great Christmas presents or birthday gifts for that food-lover in your life. The wife of the Noma super-chef René Redzepi shows us who’s in charge in the kitchen of their home in this new volume of achievable but thoughtful dishes ranging from gyoza to Portuguese pork chops. Italian restaurateur, chef and Big Family Cooking Showdown judge shares his home-cooking recipes in this beautiful new book, based on simply prepared seasonal ingredients and the lessons he learnt devising meals for his young daughter (who had severe food allergies) as well as for his ‘other family’ (his restaurant staff). Yet another new tome, this time one written by the home-making guru. It's based on Kirstie’s own experience of cooking for her husband, two sons and two stepsons, and ranges from breakfast fry-ups to quick-and-easy weekday suppers. The latest addition to the baby and children's food company’s cook-book library includes plenty of flavours from different cultures to introduce both kids and adults to fresh flavours, as well as offering plenty of practical information on everything from weaning babies to play-date dinner ideas. Both weekly family meals and special-occasion dishes from the competitive cookery show are showcased in this book, ranging from home-made fish and chips to spicy jerk chicken and flatbreads. The award-winning weekly Guardian Cook columnist shares uncomplicated, everyday, authentic dishes tried and tested in her own kitchens in Italy, including baked Sicilian pasta and almond and chocolate cake. Published in 2004 and now a family cookery classic, this fat volume by the Michelin-starred promoter of molecular gastronomy promotes family meals around the table with inspiring recipes to be cooked by adults and kids alike. Think everything from home-made tomato ketchup or baked beans to pot-roast cod. The ever-popular cook and advocate for healthier meals in schools shares tips and recipes for expanding your horizons when it comes to family dining, in dishes including mango teriyaki salmon. Read more about Luxury Family Hotels’ family-friendly restaurants and read about family dining at New Park Manor Hotel in the New Forest.